The term yield strength refers to a material's ability to endure significant bending or twisting and return to its original shape without deforming. 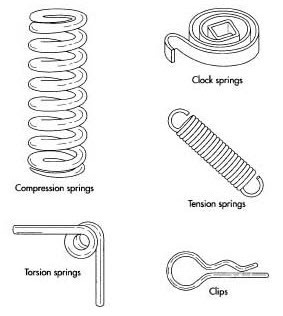 Spring steel alloys feature the unique characteristic of being able to withstand considerable twisting or bending forces without any distortion. Products made from these steel alloys can be bent, compressed, extended, or twisted continuously, and they will return to their original shape without suffering any deformation. Steel alloys are the most commonly used spring materials. The most popular alloys include high-carbon (such as the music wire used for guitar strings), oil-tempered low-carbon, chrome silicon, chrome vanadium, and stainless steel. The term yield strength refers to a material's ability to endure significant bending or twisting and return to its original shape without deforming. Spring steel stock alloys typically include silicone in their composition and are hardened and cold rolled after casting to improve yield strength. Spring steel products are generally either cold drawn as wire or punched from flat stock. Typical uses include saw blades, tape measures, helical springs, and vehicle suspension elements. Spring steel alloys feature the unique characteristic of being able to withstand considerable twisting or bending forces without any distortion. Products made from these steel alloys can be bent, compressed, extended, or twisted continuously, and they will return to their original shape without suffering any deformation. This characteristic is defined as high yield strength and is the result of the specific composition and hardening of the steel alloy. Spring steels are medium-to-high carbon content alloys generally featuring a carbon content of 0.5 to 1.0 percent. The other alloy additives typically include manganese and silicone with silicone being the key component in high yield strengths. Standard materials for Rotor Clip retaining rings is carbon spring steel (SAE 1060-1090/UNS G10600-G10900). Rings can also be produced in our standard stainless steel (PH 15-7 Mo/UNS S15700) with 420 type cold rolled stainless steel (UNS S42000) as an option and in our standard beryllium copper (Alloy #25/UNS C17200) with copper alloy C72900 and phosphor bronze (Alloy#5218/UNS C52180) as options. This steel is known for its high strength, and reliability in retaining ring applications. Since carbon spring steel is subject to corrosion, Rotor Clip treats all such rings with a protective coating to ensure some corrosion resistance. For long-term corrosion protection, a zinc plating or non-metallic finish should be applied over the steel. Minimal distortion due to unique heat-treating process. A minimum of 225,000 psi for high ultimate tensile strength. • TYPE 420 - A less expensive alternative to PH 15-7. Since general corrosion resistance for this material is less than PH-15-7, use of this material depends upon the application. Applications that require conductivity are best served by this material. It is also characterized by excellent corrosion resistance and is particularly effective in sea air and seawater atmospheres. This type exhibits higher strength compared to standard phosphor bronze materials with the same tin percentages. It is also characterized by very good stress relaxation characteristics. (Note: Rotor Clip can also supply phosphor bronze material to DIN standard 17 662, Material Number 2.1020. 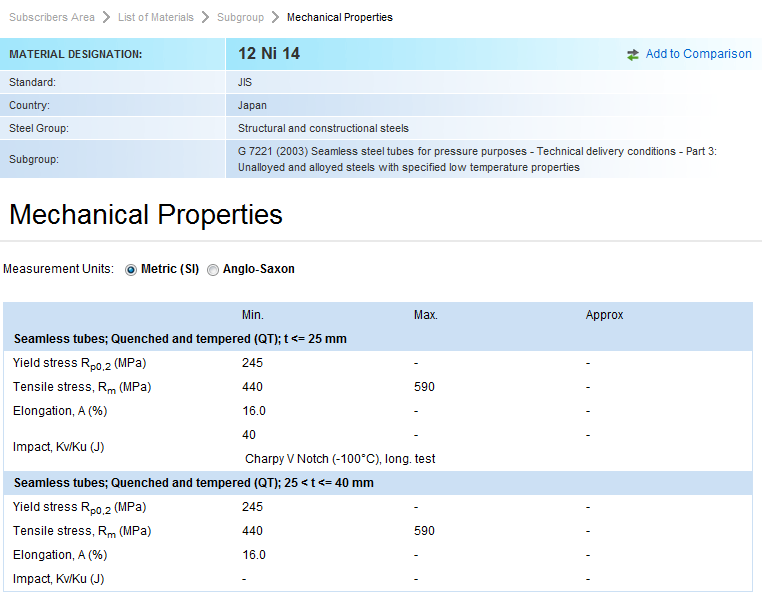 On the other hand Sandvik's spring steels cover most requirements for the materials properties. This means that It can deliver strip steel for a wide range of spring applications, such as springs for electronic devices and mechanical springs. 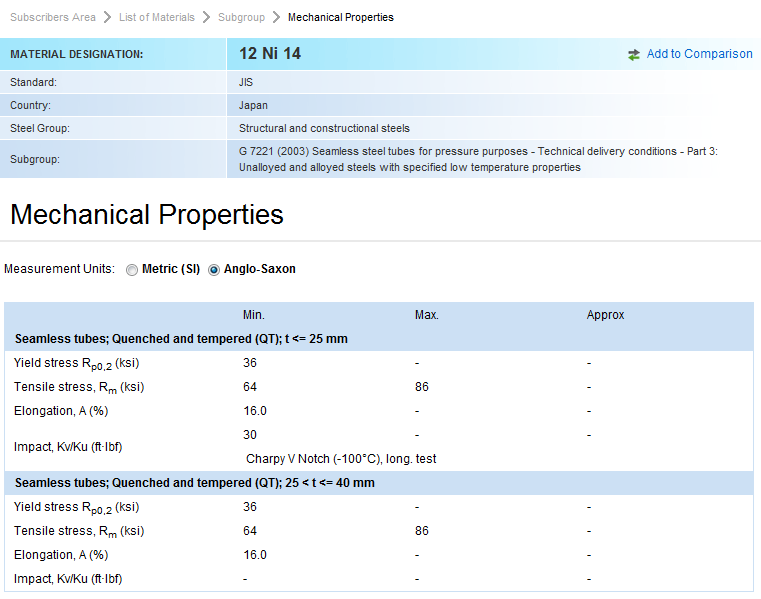 Table 1 shows a sample of Sandvik’s available spring steel materials along with their related Tensile Strength.